and it has been a pleasant journey so far! My teeth is relatively straight from the braces treatment I did some years back but what I'm still unhappy about is the size of my teeth that is a little too big for the size of my face. Not sure if you can tell from here, but there is also a slight overbite that I would like to fix through Invisalign. You can find a better picture of it in 3D form HERE. I'm now on my 6th set of aligners before I'm due for another appointment with Dr.Cheng and I'm supposed to wear each set for 2 weeks, everyday, for at least 22 hours. 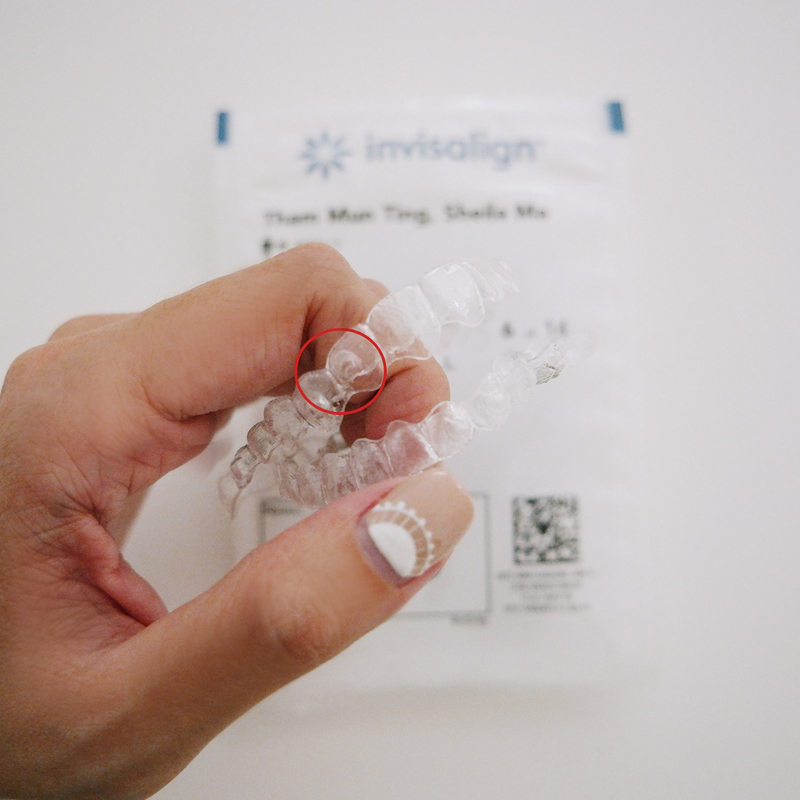 This is how the clear aligners look! The part where I circled in Red is where the attachments on my teeth are - It helps to shift the teeth faster. I got my teeth shaved when I collected my 3rd set of aligners and this was how I looked. Gap looks pretty huge here but it isn't obvious at all with the aligners on. Even more so from afar. You can't see the aligners at all. Current situation of my teeth now, without wearing the aligners. Gaps between my teeth is significantly smaller and I can't wait to see Dr.Cheng again next week! you can email info@idental.com.sg or call 63232813.